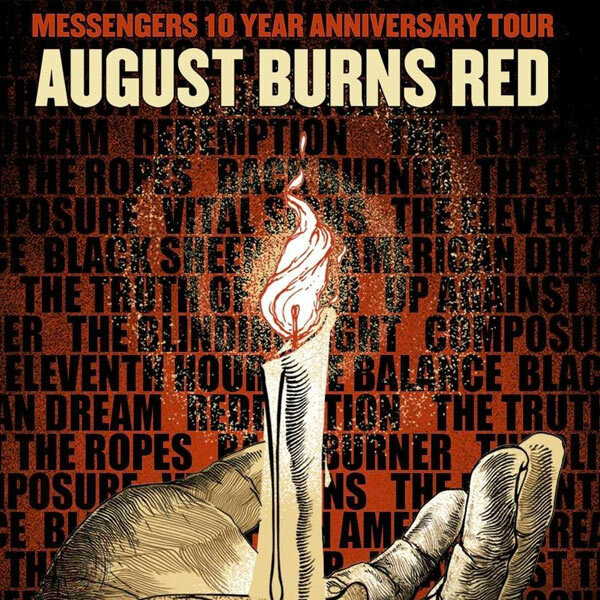 When August Burns Red announced their Messengers 10th anniversary tour, I was shocked that it had already been a decade of music from what is arguably one of the most influential Christian metal bands to date. 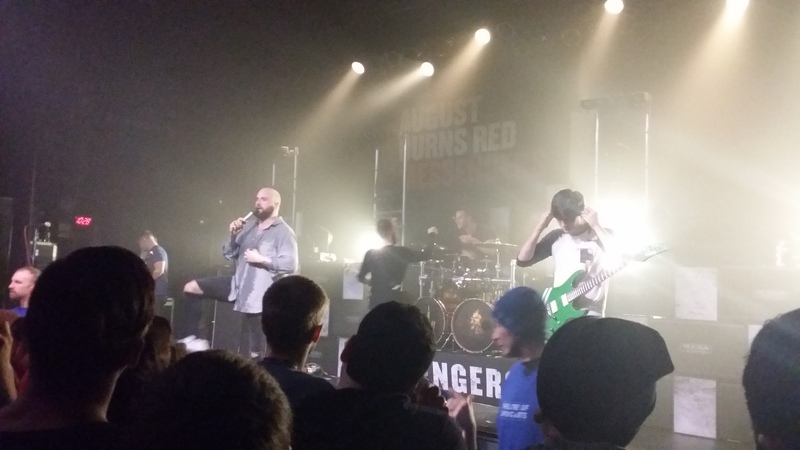 Following the tradition that August Burns Red seems to have of combining Christian music with non-Christian music; their opening acts came from many walks of life. First up at the Theatre of Living Arts was a band named '68. '68 is the two piece act comprised of former Norma Jean vocalist Joshua Scogin and drummer Michael McClellan. 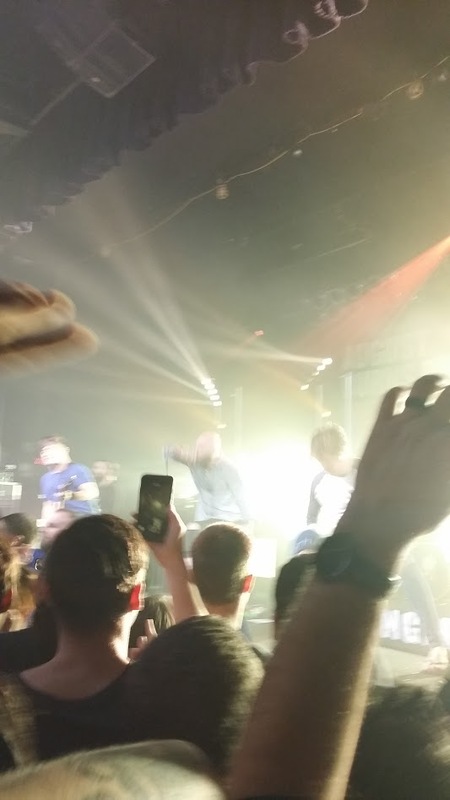 For a two piece act, they were absolutely powerful. They filled the stage with their presence and also were fantastic with crowd interaction. Their set was only 5 songs, but they ended it with a fantastic mashup of Elvis covers. The next band on the bill traveled a huge distance to play this tour. 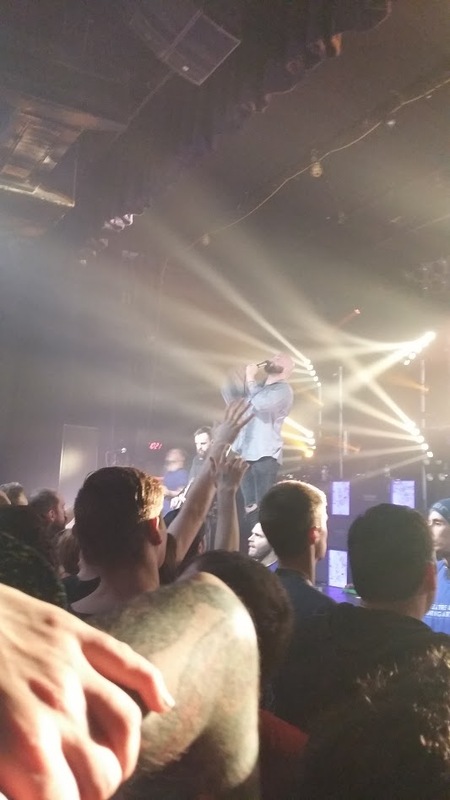 In Hearts Wake, hailing from Byron Bay, Australia put on an impressive show; they hit the stage with power that made the TLA shake. They were playing track after track off their Skydancer album. I haven't heard many Australian bands that can rock like these guys did. If you have a chance to see them in your area, I would highly recommend it. 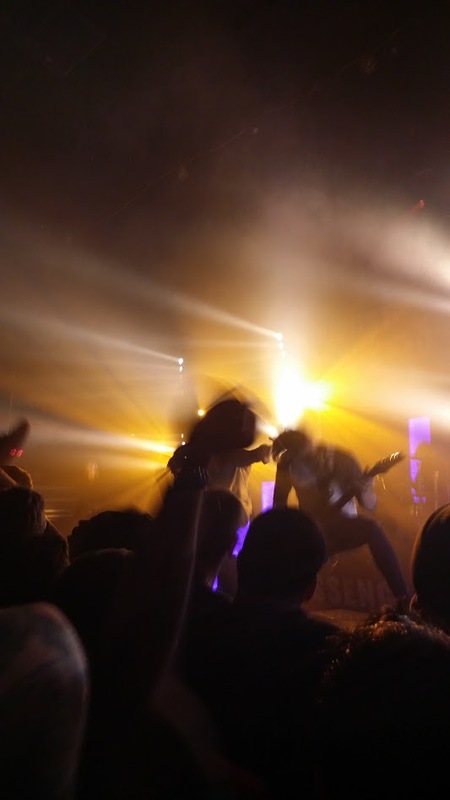 The final opening act for ABR was a very well-known band from Whitby, Ontario; Protest the Hero. I found the idea of having them open for ABR very fitting as they are a very dynamic band, very much like August Burns Red. Their dwelling into progressive metal, metalcore, mathcore and punk makes for a very technical set list that fits a tour like this. 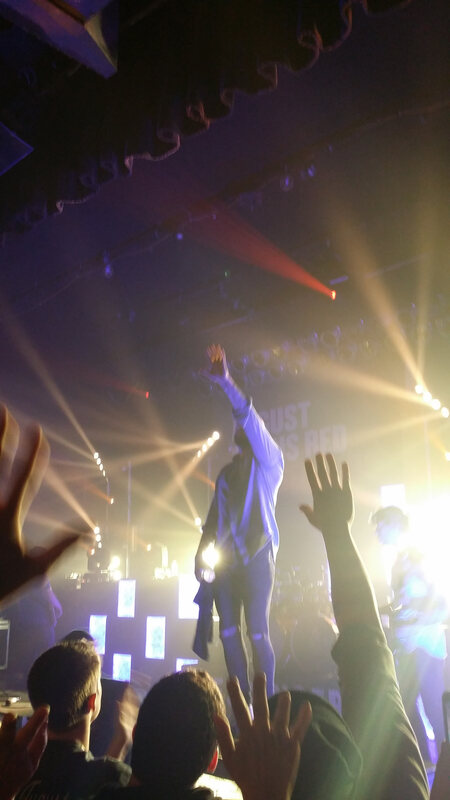 They rocked out for about 45 minutes to a set list filled with songs that seemed to span their entire catalog. 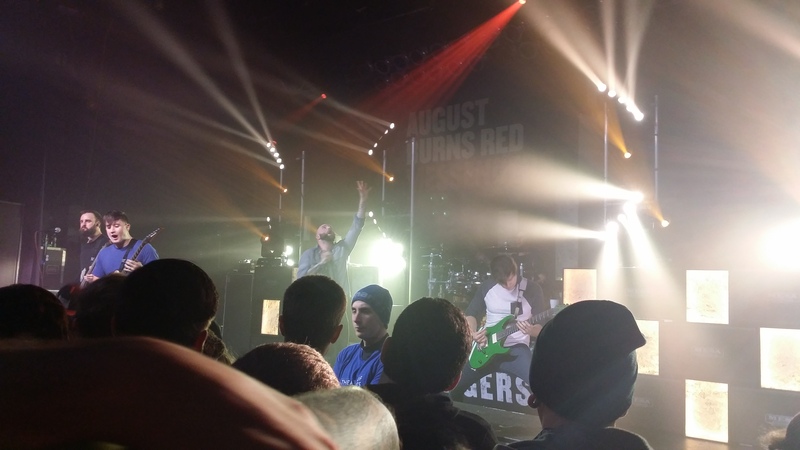 Finally August Burns Red hit the stage. They took everyone for a trip down memory lane, starting with their classic intro "Everybody's free" by Rozalla. This faded perfectly into "Truth of a Liar," and you could tell that the band felt the nostalgia of playing this show. Every song just hit perfectly and the band seemed to be firing on all cylinders the entire night. You could tell that they spent a ton of time getting ready for this show. The guys over at Squeek Lights put together an amazing lighting and projection show that really brought the music to life. The light show, coupled with the energy that the band puts into their show, really left me speechless. 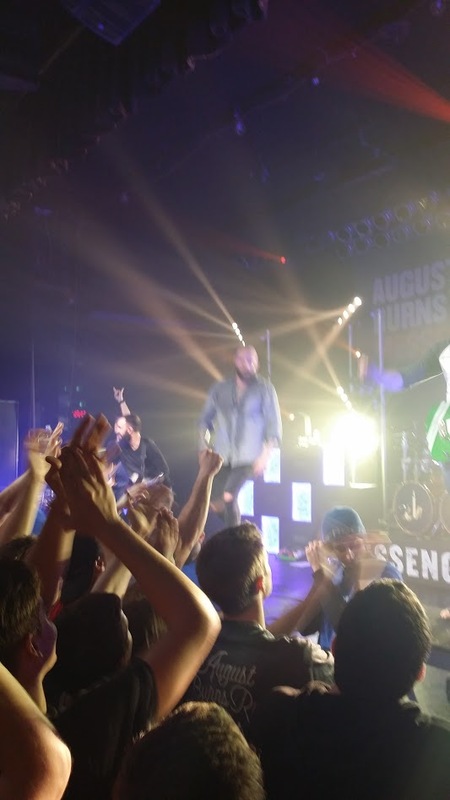 After playing the entirety of the Messengers album, August Burns Red then began what became a four-song encore by having Matt Greiner perform a well put together drum solo. 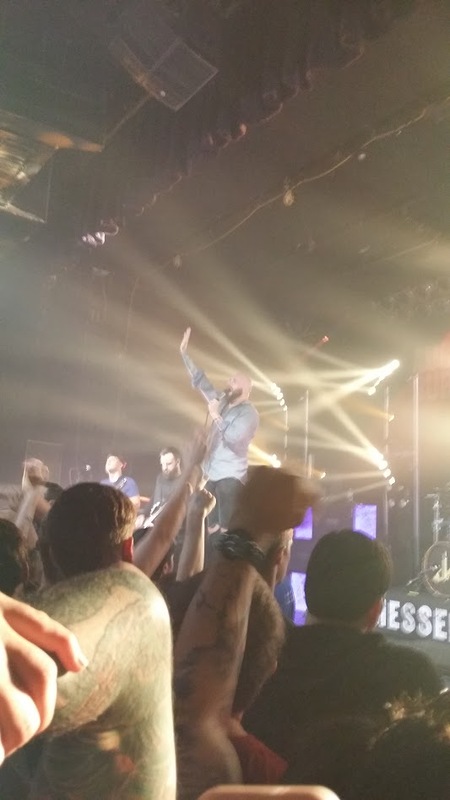 The encore consisted of songs from their Leveler album, Constellations and Found in Far Away Places. Overall, this show was absolutely amazing from beginning to end and if you have the chance to catch it before it goes overseas, please do it. You will never forget this show, I know I won't.